MDC Alliance youths received training in Zambia and South Africa to rise against the Government in the event that they lost the July 30 harmonised elections, the Commission of Inquiry into the violence that rocked Harare on August 1 heard yesterday. Six people died following the violent demonstration while property worth hundreds of thousands of dollars was destroyed. 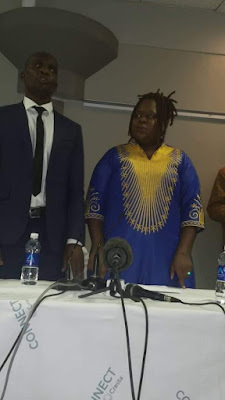 Presenting her evidence to the Commission, Ms Linda Masarira, the spokesperson of the MDC-T led by Ms Thokozani Khupe also accused the MDC Alliance leadership of inciting their supporters to engage in violence in the run up to the elections. “It would be naive for anyone to think that the MDC Alliance do not have radical and militant youths who trained under the civil society banner which are stakeholders of the MDC Alliance,” she said. “I can speak with confidence and evidence that there are two groups who were trained to lead protest though it is said that they were trained to uprise in a non-violent manner which is contrary to the actions that prevailed on August 1. “The MDC Alliance believes the Government can be persuaded to a government of national unity or to accede to certain demands from the illegal demonstrations that they did coupled with the ongoing demonisation of Zimbabwe. Ms Masarira urged the Commission not to be hoodwinked by the eloquence of the party’s leadership. “MDC Alliance is a party full of highly intolerant people, who think they are the Alpha and Omega of Zimbabwe politics,” Ms Masarira said. Earlier Zanu-PF secretary for Administration Cde Obert Mpofu who also appeared before the Commission said it was clear that the violent demonstration had been planned. “I feel that from a well informed view that there were snipers that had been planted around Harare and some buildings. “Somebody created a scene and directed that there be some firing to paint Government in bad light,” Cde Mpofu said. He said he observed the protestors from his office at the Zanu-PF headquarters chanting MDC Alliance slogans with some wearing the party’s regalia. Cde Mpofu, who was then the Home Affairs Minister said he had called Mr Chamisa urging him to contain his supporters to no avail. “I have a recording of the phone conversation I had with him (Mr Chamisa). He said minister let me look into it and I will come back to you but he never came back,” Cde Mpofu said. He added that the utterances by the MDC Alliance leaders before the elections were meant to incite their supporters to tarnish the country’s electoral processes.